A global recruitment is a way NIH hires for common positions such as Health Scientist Administrators. NIH creates a single announcement in USAJobs.gov which can be used by any Institute or Center with an approved vacancy. Applying to a global recruitment means that, with a single announcement, hiring officials throughout the entire NIH will have access to your application. Most importantly, if your application is determined to be qualified for the recruitment, it may remain active for at least three months. This means that if NIGMS receives approval to recruit, our selecting officials will be able to view your application immediately. We’re recruiting for an accomplished scientist with experience in the pharmacological sciences to join the Pharmacological and Physiological Sciences (PPS) Branch of the Division of Pharmacology, Physiology, and Biological Chemistry. The successful applicant will have responsibility for scientific and administrative management of a portfolio of grants, both research and training, in the Division. The PPS Branch supports research studies ranging from the molecular to cellular to organismal, which can be basic or clinical in nature. This position offers stewardship of grant awards related to modern approaches to examining the effects of drugs on the body and the body’s effects on drugs, as well as how these effects vary from individual to individual. This includes investigations of the absorption, transport, distribution, metabolism, biotransformation, toxicity, and excretion of drugs, as well as determinants and models of pharmacokinetics. The portfolio also includes investigation of drug delivery strategies and the packaging and delivery of molecules and biologics, with an emphasis on drug release and kinetics. 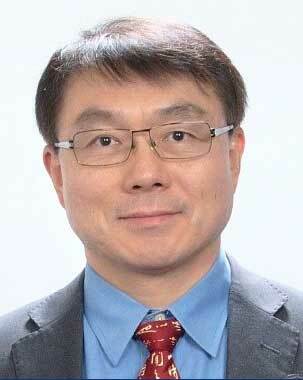 I’m pleased to announce that Ming Lei will join NIGMS later this month as the new director of our Division for Research Capacity Building. Ming is a molecular geneticist with extensive experience overseeing fellowship, career development, and training and education grant programs.Ming is currently deputy director of the Center for Cancer Training and chief of the Cancer Training Branch at the National Cancer Institute, which he joined in 2008 as a program director. His experience before that includes leading the Genes and Genome Cluster in the Division of Molecular and Cellular Biosciences at the National Science Foundation, serving as an associate professor of microbiology at the Medical College of Wisconsin, and working as a research scientist in the Division of Biotechnology at the Monsanto Corporation in St. Louis, Missouri. Ming’s expertise in managing far-reaching and complex programs, and his ability to effectively engage with scientists and other stakeholders, make him an ideal choice for this key position and a valuable addition to our senior leadership team. Please join me in welcoming him to NIGMS. For more about Ming, see our news announcement. UPDATE: The vacancy announcement for this position is now available and is open through February 7. UPDATE: The vacancy announcement will be available beginning on January 29, 2018. We’re recruiting for an accomplished scientist with experience in the chemical sciences to join the Biochemistry and Bio-related Chemistry Branch (BBC) of the Division of Pharmacology, Physiology, and Biological Chemistry (PPBC). The successful applicant will have responsibility for both scientific and administrative management of a portfolio of grants (both research and training) and fellowships, to include: stimulating, planning, advising, directing, and evaluating program activities for the portfolio of research awards. The BBC Branch supports basic research in areas of synthetic chemistry, biochemistry, bio-related chemistry, and the glycosciences. This position will include stewardship of grant awards related to creation of new synthetic methodologies, biosynthesis, and structure of macromolecules, synthesis of natural products, development of novel medicinal agents and mimics of macromolecular function, and/or the chemical basis of regulation and catalytic properties of enzymes. Applicants should have expertise in chemistry, chemical biology, biological chemistry, or biochemistry, and should have experience in applications of chemistry to biological systems and/or therapeutics (for example, organic synthesis and methodology; biological catalysis and regulation; biotechnology, biosynthesis, and bioengineering; or chemical tools for manipulation of biological systems). Candidates should also have outstanding written and oral communication skills. The position is included in the global recruitment for Health Scientist Administrators. The vacancy will only be open for a few days, beginning on January 29, 2018. For additional information about this position, see the announcement on the NIGMS website. Do not hesitate to ask questions about this position or the recruitment process. In preparing an application, Applying for Scientific Administration Jobs at NIGMS may offer other useful information. Not looking to become a Health Scientist Administrator right now? Please help us out by forwarding this information to others who might be interested in this opportunity. UPDATE: The vacancy announcement for this position is now available and is open through February 7. Make sure you apply for the supervisory HSA position. We’re recruiting for an outstanding individual to serve as branch chief within our Division of Genetics and Developmental Biology (GDB). This person will oversee the scientific and administrative management of the Developmental and Cellular Processes (DCP) Branch and will be responsible for advising, directing, and evaluating program activities for a portfolio of research grants in one of the branch areas. The GDB Division supports research into the cellular and molecular mechanisms that underlie inheritance, gene expression, and development. The DCP Branch focuses on the genetic and biochemical pathways that cells utilize in development and in normal physiological processes. The research supported by the branch spans the spectrum from the genetic basis of development and cell function to biochemical signaling pathways that underlie normal cell physiology. Candidates should have expertise in any area of research supported by the branch. Familiarity with NIH extramural funding as an applicant, reviewer, or NIH scientific administrator is a plus, and outstanding written and oral communication skills are essential. This position is included in the global recruitment for Health Science administrators which will only be open for a few days beginning on January 29, 2018. For additional information about this position, see the announcement on the NIGMS website. In preparing an application, Applying for Scientific Administration Jobs at NIGMS may offer other useful information. Fred Taylor, distinguished leader of our Center for Research Capacity Building (CRCB), is planning to retire, and we’re embarking on a search for an outstanding individual to serve as the new CRCB director. CRCB supports research, research training, faculty development, and research infrastructure improvements in states that historically have not received substantial levels of research funding from NIH. It also supports faculty research development at institutions that have a historical mission focused on serving students from underrepresented groups, research and research capacity building directed by Native American and Alaska Native tribal organizations, and conducts a science education program designed to improve life-science literacy. CRCB is composed of four programs: Institutional Development Awards, Native American Research Centers for Health, Science Education Partnership Awards, and Support of Competitive Research. The CRCB director will have the opportunity to set priorities, lead change, and strengthen the biomedical research enterprise across the United States. The center director reports to the NIGMS director and is a member of the NIGMS senior leadership team, which helps set policies and priorities for the Institute. There are also opportunities to participate in and advise on NIH-wide activities and collaborations with other federal agencies. Candidates must possess an M.D., Ph.D., or equivalent degree in a field relevant to the position. The ideal candidate will have considerable research experience in basic, clinical, or translational biomedical science; a demonstrated understanding of the conditions that disproportionately affect underserved populations; and knowledge related to the NIGMS mission. In addition, candidates should possess recognized research management and leadership abilities. For additional information and application instructions, please see the vacancy announcement (no longer available). NIGMS will accept applications for at least 45 days from October 2, 2017, but it will not close the application process until a candidate has been selected. As chair of the search committee, I ask for your help in identifying candidates for this crucial position and in sharing this information with others who might be interested. I’m pleased to announce that Stephanie Constant will be joining us in early 2017 as the new chief of our Office of Scientific Review. Stephanie is currently a scientific review officer at NIH’s National Heart, Lung, and Blood Institute, where her review portfolio is primarily focused on training and career development programs to promote diversity in the biomedical workforce. She also worked on detail in NIH’s Office of Extramural Research, where she contributed to developing and updating policy guidelines to enhance the NIH peer review process. 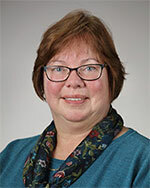 Prior to joining NIH, she was a tenured associate professor in the Department of Microbiology, Immunology and Tropical Medicine at George Washington University. Her research included studies on the regulation of leukocyte migration in acute and chronic inflammation and on the mechanisms of immunomodulation by parasite products. Stephanie’s deep knowledge of NIH review policies and practices and expertise in the review of training and diversity grant applications make her an ideal fit for this key position in our Institute. Please join me in welcoming her to NIGMS. For more about Stephanie, see our news announcement. UPDATE: The two vacancy announcements for this position are now available on USAJOBS: one is for candidates with current and former federal employment status and the other is for candidates without such status. We’re looking for a program director with expertise in the development and application of advanced technologies for biomedical research. This individual will manage grant programs that support technology development, as well as access to research resources. The position is located in the Biomedical Technology Branch of our Division of Biomedical Technology, Bioinformatics, and Computational Biology. Expertise in the following areas is of particular interest: structural biology technologies covering X-ray methods, including macromolecular crystallography, scattering, and spectroscopy and cryo-electron microscopy methods, including single particle, tomographic and micro-electron diffraction applications; and bioanalytical technologies, including mass spectrometry, separations and protein chemistry. Candidates should have strong oral and written communication skills. Familiarity with NIH extramural funding as a grant applicant, reviewer or NIH scientific administrator is a plus. The vacancy, which is part of an NIH-wide global announcement, will be available on USAJOBS on October 3 and will close on October 12. In the meantime, a description of the position is posted on the NIGMS Job Vacancies page. Previous blog posts on Applying for Scientific Administration Jobs at NIGMS and Scientific Careers in the Federal Government offer additional background and tips. If you have any questions about the position, please contact me. If you have questions about NIGMS or this hiring process, contact Claudia Gonzalez. I’d appreciate it if you would share this upcoming job announcement with individuals who may be interested in this opportunity.